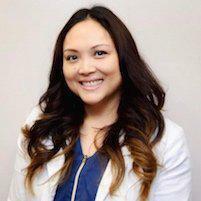 Dr. Ana Grace Santos always appreciates feedback from her valued patients. To date, we’re thrilled to have collected 13 reviews with an average rating of 4.92 out of 5 stars. Please read what others are saying about Dr. Ana Grace Santos below, and as always, we would love to collect your feedback. Very happy with my visit. The whole staff polite and . Wouldn’t go anywhere else. It’s a hidden gem in Old Town Union City. Dr. Ana and her staff are great. Great service. Seen at apt time without waiting. This will definitely drive me to come back. Thanks. Dr. Santos is amazing! She makes sure that you're completely relaxed and feeling no pain whatsoever. I've gotten both a cleaning and fillings done from her and both were done flawlessly! I would definitely recommend her and her staff. Dr. Santos did a great job with my dental cleaning today. She was professional and explained everything she was doing and even offered topical analgesic for my sensitive areas. She didn't oversell upcoming procedures and was very straightforward with my care plan. I highly recommend her! I am a former dental professional so I have knowledge about care and treatment. I have received quality care at all my appointments. Dr. Santos is very caring. I have had nothing but great experiences at this office. Friday - yesterday was a busy day in the clinic- but Dr. Santos really have time to her patient. She is very detailed in explaining the do and don'ts in maintaining good clean teeth.